Arthur Conan Doyle is on the run from his own fame. Taking a much-needed holiday, Doyle escapes to a picturesque village in Switzerland nestled beneath the imposing Reichenbach Falls. There he hopes to find anonymity, but even in this beautiful rural setting, peace eludes him when he finds himself immediately recognized and involved in the investigation of the mysterious death of a fellow traveler. All too soon, Doyle's somewhat unwilling, gentle probing into the case causes the finger of suspicion to turn toward him. But can the creator of the famous detective actually do the sleuthing himself? As Doyle learns more and more about the famous character he penned, he finds he is less like Sherlock and more like his sidekick, Watson. Can the "sidekick" see enough of the picture to solve the case for once? Sherlock Holmes has fascinated readers since he first burst into fiction, over one hundred years ago. In this novel, the first in a trilogy, we meet his author and discover the difficult relationship between them. 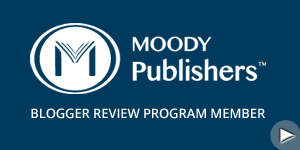 The book had what seemed to me a slow start, and I had a hard time getting into it, but once I got a few chapters in, it caught on more with me. I liked the idea of the book: writing a mystery where Sir Arthur Conan Doyle is part of the story and has to deal with his fame as the writer of the Sherlock Holmes stories, and also has to deal with the idea of competing against his own character. The book wasn't as fast paced as a lot of suspense novels I read, but I still found it an enjoyable read. I always put an author bio and picture here, but I could find neither anywhere on line. 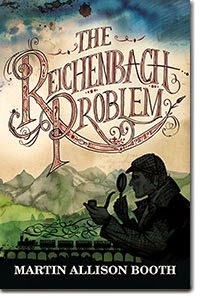 The Reichenbach Problem is available from Kregel Publishing.